I am strolling with a couple of genial male companions, talking about life. They are well-read and their humor and imagination are in fine working order. One of them is very like Mark Twain. We are all smoking pipes. I greatly enjoy the flavor of the mild golden tobacco I am smoking in my pipe. When it burns down, it leaves very fine white ash. I wake just after 3:00 AM with the taste of that pipe tobacco still in my mouth. I am surprised at how sweet and pleasing it is. I haven't smoked a pipe in nearly four decades. I did smoke pipes as a student and junior professor, but found that they tended to leave my mouth dry and my throat sore. Also, when I gave way to temper, I had a habit of chomping down so hard that I snapped the stems. I am always interested when senses other than the visual come strongly into play in dreams. My taste buds were very active in this dream. The other interesting thing about my pipe dream is that I rose with clarity and energy to charge ahead with a huge job of work I'd been putting off. I sat down at my desk and labored without pause for nine hours. A "pipe dream", in common parlance, is an idle fantasy or vain hope. But I found that a pipe dream provided energy and focus for entirely practical matters. No, I will not take up pipe smoking in ordinary life. But I wouldn't mind smoking some more of that golden tobacco in my dreams, especially if my golden-tongued companions include Mark Twain. Graphic: René Magritte, "Ceci n'est pas une pipe"
In the African galleries at the Field Museum in Chicago, I came upon two ladies I greatly admire. They are bodyguards of an oba, or king, of Benin, complete with armor and helmets and fierce expressions. Their weapons, or rather shields, are what seized my attention. They are holding up mirrors. These are intended to deflect any intended harm from the king and return it to the sender. The mirror defense against psychic attack is well-known across the ages, and the mirror is an ancient tool of shamans. The mirror ladies of Benin must have been formidable psychic bodyguards. I drive into an immense walled space. The walls rise for many stories. In front of me is what appears to be a giant speedometer, hanging on the wall like a clock. I know my way forward requires me to drive straight up the wall and that I need to choose a place on the dial to aim for. I think 100 is too much, so I aim nearer 80. I floor the gas pedal, racing towards the wall. My car adjusts beautifully, tilting up at the first touch, as if made of rubber. I fly up the wall to a place near the 80 digits on the giant speedometer. So far, so good. However, getting down will be a challenge. My car now seems more like a bicycle, and I realize there is no way I can ride it down the wall. I’ll have to lower myself, little by little, gripping a edge I discover. This is the edge of an enormous panel or screen that covers part of the wall. But it crumbles like an old strip of cardboard when I try to use it as a handhold as I go down the wall. This doesn’t faze me. I’m willing to let go and drop the whole distance, seemingly hundreds of feet. I know that no serious harm can come to me. Reality: I suspect this was an “end of life” dream, rehearsing me for the last stage of life. 80 or 80-something would seem a better life term than 100, especially if by that time I am losing my edge! I am watching Leonard Cohen singing one of his standards on a stage in London. Earnest PBS fund-raisers come on right after the song, offering DVDs and CDs of his "Live in London" concert to those who call in with contributions. I approve of the cause, but they go on for too long before the next song, and I switch off the set. However, the songs stays with me. It becomes my default sound track for many days. And I continue to be deeply and strangely moved by the image of the old poet-singer in his black hat and black suit, and the way he held that mike. Like a mouth organ, I wrote. But his cupped hands remind me of something else, of a stunned or wounded bird being gentled back to life. I had seen that happen the day before, when a baby owl flew into the window of a lodge in the greenwoods where I was leading a retreat, and appeared to be dead until a young woman picked it up and cradled it in her hands, crooning. The baby owl sat up, stared at me, and then flew into the limbs of a red cedar. As members of my dreaming family were gathering for a private circle I lead, I mentioned how deeply I had been touched by that glimpse of Leonard Cohen. "How did you feel?" Sara asked, jumping into the Lightning Dreamwork process we use to discuss dreams, and also life events. "I was deeply moved. I feel haunted, but not in an unpleasant way." "What do know about the song?" "I did some research. I learned that Leonard Cohen started writing this song in 1968 when he was in the midst of a deep depression when he was living on the Greek island of Hydra with his girlfriend. They had just started installing phone lines on the island. He saw a bird on a wire and this gave him his first line. It took him many weeks to complete the song - in a motel back in the United States - but writing it got him through his dark patch. "The song is one of his standards, one of his signature compositions. I read that he sings it in every live concert. That's got me thinking about how it may be good for me, too, to have standards I can deliver year after year, together with all the new stuff. I have some stories that are like that, stories I've told many times that people are waiting for me to tell again in my programs." Sara commented, "If it were my experience, I would also think about what are our standards in another sense - what is it that has brought us back when we were really down." This observation traveled so deep I gasped when full recognition dawned on me. "When I was nineteen," I now recalled, "I lost the first girl I really loved, and I wanted to die. I didn't plan to kill myself, because I have always known that there is life after life, so that is not an option. But I was starting to wish myself dead. I could only pull out of that by writing a poem, and the poem was about a bird." I don't recall whether there was punctuation in my original text; I think not. Bringing through that poem, however, was vital punctuation in my life, perhaps as vital for me as "Like a Bird on the Wire" was for Leonard Cohen. I was grateful to Sara for helping me see the connection. And to another member of our dream circle who seized on the communications motif. Cohen saw his bird on a telephone wire. I said I would honor that element by blogging about the birds, the songs, and the life signatures. By the way, Kris Kristofferson says he wants the first stanza of "Like a Bird on the Wire" as his epitaph. Not a bad choice. He is impossibly beautiful, with his vivid blue eyes and his golden mane, in his lion skin robe lined with the night sky, sea-foam around his feet. "You don't like Kindle, but you'll like this," he tells me, pressing a tablet with moving jewel-bright lights into my chest cavity, which opens for him. The tablet contains all the books I will now write. There's more. He wants me to ingest a seemingly endless golden tongue. It looks and tastes like cookie dough. I think of an old depiction of Ogmios, a Celtic god of eloquence, guiding his listeners by fine golden chains that stream from his tongue. Yes, I will take in this power of goodly speech. I met this radiant double during a group shamanic journey at the training I led last week. One of our dreamers had described how she "downloaded" the first draft of a PhD dissertation in a dream in which she traveled through a Western gate and encountered a future self who told her the work was already done; all she needed was to let it come through. She couldn't bring back details from the dream, but found that when she sat down to write, everything streamed through, day after day, until she had produced a 200-page draft over 14 days. Encouraged by this wonderful account of dream-driven creativity, we agreed we would all like to meet a future self who could give us the essence of a new project, which might be a creative endeavor in any field. The beautiful lion-robed figure I met is unlikely to be a "future self" of me within my present span of years, but I love the idea that he is a self I may join or rejoin after my physical death, and who is available now to help me deliver my best work. I realize he has never been wholly absent from my life, even when I forget all about him. In my dream adventures, I often seem to be a kind of detective, investigating complex intrigues in many times and places. Last weekend, Robert the dream detective was again in Russia, a recurring locale. He was following the threads of a secret operation code-named "Griboyedov". The name was very clear, and I recognized it on waking. It is the name of a colorful nineteenth-century Russian poet and writer who was sent as a diplomat to the court of the Shah of Iran. When Armenian girls escaped from the Shah's harem and took refuge in the Russian embassy, an angry mob stormed the building; Griboyedov died fighting them, sword in hand. He was decapitated by a kebab seller and his head was put on a stick at his killer's market stall. Not sure why his name would be used as a code today, but my mind goes to all those angry mobs attacking U.S. embassies across the Middle East. The plot of my Russian thriller thickened and changed in my second cycle of sleep dreams. Now the character my dream self was tracking was a sleeper agent planted in the West in Soviet times. He has gone rogue, unknown to his Russian handlers, and gives them a very nasty surprise. A key name in the second part of this double feature was "Verezhensky". This name was quite unknown to me, so I tried it out on a highly literate Russian friend. She gave me this intriguing instant feedback: "Ha! If this were my dream, I would think that Verezhensky is a perfect name for a villain in the story. It is a rare name, so there are fewer chances to get sued by its bearers, it sounds sophisticated - and it is derived from the archaic form of 'to harm'." She informs me that Вередить means to do harm, to bother, create mischief or even to cast a bad spell. The modern form is "вредить". There is also an expression "бередить раны", to open old wounds. The name is also related to two villages Verezheny in northern Moldova, near the border with Ukraine. Full disclosure: I wrote spy thrillers, including some with Russian themes and characters, back in the 1980s. It seems that while I follow my present path, there is an alternate Robert who loves reading and writing superior cloak-and-dagger stuff, out there gathering fresh material. It's one of the cardinal rules for navigating through synchronicity: notice what's showing through the slip. Following that rule, I found a dream editor, and the wonderful publishing house that has brought five of my books on dreaming and shamanism (so far) to the world. I had just done devoted an hour on my radio show to the theme of “three 'only' things", the notion that we have three wonderful resources for guidance and everyday magic that we tend to dismiss as "only" this or that, by saying (for example) that a dream is "only" a dream, or that a moment when the universe gets personal is "only" coincidence, or that a flash of inspiration is "only" imagination. The show went very well, and I had a strong urge to reach out to someone in publishing immediately and propose a book on this theme. When I picked up the phone, I intended to call a senior editor at a major New York publishing house with whom I had worked before. On a sudden instinct, I looked up the number for an editor with a smaller house on the West Coast. Her name was Georgia Hughes, and she was the editorial director for New World Library, an independent publisher based in Novato, California. Up to this point, I had communicated with Georgia only by letter and email. First contact was made when she approached me for an endorsement of a fine book on Celtic tradition, Frank MacEowen’s The Mist-Filled Path. Later I had emailed Georgia to advocate Wanda Burch’s beautiful book She Who Dreams. I did recall a dream from many years before in which it seemed that a woman called “Georgia” — who appeared in an American Indian setting but was not herself Native American — was playing a very important and positive role in my publishing life. I found the number for New World Library. A robot voice guided me through the in-house directory, which eventually revealed Georgia’s extension. I punched it in, expecting to get voicemail. After all, she was the editorial director of the house, and such people tend to be very busy and not often — if ever — available to first-time callers. Georgia answered her own phone and greeted me warmly when I said my name. She spoke to me as if we were old friends, referring to a recent phone conversation. There was a short pause on the phone, then Georgia realized she had confused me with another author, Richard Moss. We had a lively conversation about dreams and coincidence for half an hour, at the end of which time I promised to send Georgia a formal proposal the next day. I stayed up all night to pull it together. The time is always Now. Could you resist going with a slip like that? The book that resulted was, of course, The Three "Only" Things: Tapping the Power of Dreams, Coincidence and Imagination and I tell this story of the everyday magic by which the author-editor connection was made in the Acknowledgments. I continue to be enormously grateful for Georgia's slip on the phone, and for her extraordinary gifts as editor and friend. After he made himself master of the Roman world, the emperor Constantine traveled to the site of Troy, in Asia Minor. He had decided to found a new capital for the eastern empire, and thought that Troy - the legendary origin of the first Romans - would have the required mythic cachet. Inside the ruined walls of the city, however, he heard a voice telling him, "The city of Priam belongs to the past. Leave it in the past." Afterwards, he crossed the Bosphorus to the small Greek city of Byzantion, founded in the 7th century BCE by one Byzes, and initially settled by colonists from Athens and Megara. Here Constantine spent the night and dreamed, of a very old woman who became young again. On waking, he concluded that this would be the site of Nova Roma (New Rome), the place where a decrepit, elderly and dissipated world-city could rise again from its ruinous past. In 330 CE, following the dream, Constantine laid out the new city that would be known to the world, after him, as Constantinople, or, in its heyday, as simply The City. After the Ottomans under the young Sultan Mehmed II broke down the previously impregnable walls of Constantinople in 1453, they renamed it Istanbul. The story of the voice and the dream is less solidly evidenced than that of an earlier vision, followed by a dream, that led Constantine to march into battle under a Christian cross (the chi-ro symbol rather than the cross of Calvary) to victory over a rival emperor at the battle of the Milvian Bridge, before Rome, in 312 CE. I have discussed that sequence, which arguably led Rome (and thereby the West) to choose Christianity its established religion, in my Secret History of Dreaming. Maybe Constantine and his advisors simply had the smarts to appreciate the high strategic value of the site of the old Greek town commanding the trade routes between the Black Sea and the Mediterranean, and the crossings between Europe and Asia. But, as I prepare to travel to The City that was once Constantinople later this month, I am tickled by the legend that it became a world city because of a dream. Again, se non è vero, è ben trovato; "if it's not true, it's well found." Come to think of it, the Ottoman empire, according to another (Turkish) legend also owed its origin to a dream, the dream of Osman, but this is a story for another time. - For the story of another city built on a dream, see my article on the dream of Grand Duke Gediminas, that led to the foundation of Vilnius in Lithuania. I have no doubt about the authenticity of this one. On the anniversary of the tragedy of September 11, 2001, I am remembering a dream that vividly conveyed both the depth of the national trauma and the hope of a gift that might come through the wound. A couple of days after the terror attacks, I flew to California to lead a workshop on shamanic dreaming at the Esalen Institute in Big Sur. In the opening session, people were eager to share dreams and deep emotions relating to 9/11. We heard a number of reports of possible dream precognition of the event, confirming my impression that mass events throw a shadow before them. However, the most powerful and moving dream shared that day was a night vision that came to the dreamer after the tragedy, when she was struggling to understand the terrible enormity of what has taken place in New York. She saw the Statue of Liberty as a living goddess. She saw the great goddess savagely attacked, torn open from the crotch to the throat. Sobbing and gagging as she watched the Manhattan sky filling with blood and ashes, the dreamer was amazed to see that the heart of Liberty, now clearly visible, continued to beat. As it went on beating, the heartbeat seemed to go out in all directions, touching people, stirring them to open their own hearts. This powerful vision, in its terror and its beauty, is seared into memory, along with the literal scenes of 9/11. It gives hope that our society may come through trauma and sectional hatred to return to the heart. I'll be talking about the continuing national trauma of 9/11, and about how to heal the trauma of our wounded warriors, with psychotherapist and educator Edward Tick Ph.D, the author of War and the Soul, on my "Way of the Dreamer" radio show today. You can hear the interview live from 12:00-1:00 PM Eastern (9:00-10:00 AM Pacific) via www.healthylife.net, or download from my archive after the broadcast. Soldier’s heart, they called it in the American Civil War. It’s the condition of those who have been traumatized by combat. It was called shell shock in World War I, and treated without sympathy, when treated at all. In Spanish, they say of someone with this condition, esta roto, this person "is broken". Post-traumatic stress disorder (PTSD) is the diagnostic term today, and it has reached epidemic proportions. We see that in the Pentagon's own statistics for suicide. So far this year, on average, five active duty military personnel have killed themselves every four days; the numbers are far higher for veterans in general. Edward ("Ed") Tick, Ph.D., is one of those who is working to heal our wounded warriors. He is director of Soldier’s Heart, a nonprofit organization dedicated to facilitating the “safe return” of our veterans. He has practiced as a psychotherapist for 28 years. He knows that healing trauma requires the care of hearts and souls. He approaches combat trauma as a "soul wounding". He brings the skills of the shaman, the mythologist and the storymaker into his work; he knows that we can heal body and soul by helping each other to find and tell better stories. Two of his books are on my desk as I write, and I treasure both. The Practice of Dream Healing is a spirited guide to the ancient temples of Asklepian healing, and a passionate appeal to integrate this tradition of sacred medicine into our modern healthcare, in the understanding that "encouraging patients to be in relationship with the sacred fosters their healing". Ed's recent book, War and the Soul, is a searing and essential work that lays out a road map for bringing our lost soldiers home: through cleansing and purification, through ritual and dream quest, through storytelling and through claiming the gift that is in the wound. We are in desperate need of healers like Ed Tick. He knows that anyone who has gone through profound trauma - whether on the field of battle or on the battlefields of life - will not be the same. Those we have sent to fight our wars will not and cannot be the same as before. A man or woman who has been sent out as a sanctioned killer, with a good chance of being killed, does not come back as a person who can simply be restored to normal functioning and dropped back into regular life. The transformation of character caused by combat trauma is profound and its effects are likely to be permanent. The warrior, returning, is something other than what he or she was before. We owe it to our homecoming warriors to offer them more than medications and therapies that address symptoms but not the soul, and Ed Tick knows where to find what they need. He borrows tools and resources from traditional cultures, those of our ancestors and those of indigenous peoples who preserve the shaman's ways. To make someone ready for war, in the primal understanding, you make him half-crazy. You seek to call into him the killing power and war frenzy of an animal predator; thus, in northern Europe, ancient warriors called in the wildness of the bear in order to go berserk (which literally means to put on the "bear shirt"). When the battles are over, a fighter who has been a sanctioned beast in the field must be carefully de-possessed of that killer spirit, cooled down, and also released from whatever other spirits of battle may be with him, including the ghosts of slain comrades and enemies. And he must be helped to speak of what he has lived through. I'll be talking of all this with Ed Tick on my radio show on 9/11, the anniversary of a tragedy that has send so many to fight on dubious ground, and has bequeathed a national trauma that is far from healed. I am glad to report that his work is now acknowledged by the Department of Defense, which enlisted his help this year to introduce 2,000 military chaplains to his soul-centered approach. I celebrate Ed Tick as one of those who truly carries the staff of Asklepios, of whom the poet Pindar wrote that he healed "with the words that soothe men's tormented souls". On the air: Ed Tick is my guest on my "Way of the Dreamer" radio show on Tuesday, September 11. Please join us for a powerful and timely conversation. You can hear the interview live from 12:00-1:00 PM Eastern (9:00-10:00 AM Pacific) via www.healthylife.net, or download from my archive after the broadcast. I go to the dentist for stage #1 of having a crown replaced. The assistant starts making a mold of a crown on the lower left. "That's mysterious," I tell her. "I thought we were going to work on this one." I tapped a crown on the upper left. "This is where I've been feeling the discomfort and leakage." "Nope," she shakes her head after checking my chart. "It says right here, number 21." We agreed we would check with the dentist. She took a quick look in my mouth and agreed that the work needed to be done on the upper left, as I thought. When she checked my record, she reported, "The digits got transposed." Instead of being tagged as #12, the tooth that needed work had been tagged #21. And work had actually begun on the wrong tooth. Now, I have high confidence in my dentist, and I am quite certain she would never have pulled a crown that didn't need to be pulled. Nonetheless, a message for the day (and for any day) was clear as a root canal: don't confuse the map with the territory. No problems with removing the old crown. The dentist knew that I always refuse anesthetics, even for much more painful procedures, and the assistant had been briefed. But later she asked, "I've heard you've had root canal and oral surgery with no anesthetics. How do you do that?" "I put my mind somewhere else. A nice cove with pink sand in Bermuda. A white sand beach on the north side of Oahu. Sometimes I'm out on the African savannah, lazing like a lion in the sun while a slightly irritating long-beaked bird picks my teeth." I did not tell her that because I was so often deathly ill and in terrible straits as a child, I had to learn to shift my awareness away from physical pain in order to get through. I did admit that sometimes the pain is so great that the only way to cope with it, in the absence of chemicals, is go into the heart of the pain and make that the meditation. On my latest visit, the imagery that came to me was from a city I have not yet seen, in this life, but will visit later this month. I found myself in the Sultan's harem in old Istanbul, and saw it very much as Ingres' imagination brought it alive, in the paintings of odalisques that excited me when I was a teen. When the dentist's attack on the base of the old crown dragged me out of the harem, I was in an earlier time, watching from the tower where the last Byzantine emperor and his friend Phrantzes saw Ottoman cannon bring down the land walls of Constantinople. When I first came to this office, many years ago, they had some great wall photos of woodland and lakeland scenes in Canada. I had no trouble stepping into these scenes while the dentist drilled away, and perhaps others were able to do the same. Alas, today my dentist's notion of room decoration is posters showing the progression of gum disease in gross detail; not where I'm going to go. A friend in Turkey reports a dream from last night in which we are both inspecting a book written in Ottoman Turkish, in the old Arabic script. She is surprised that I can read this text with ease. I am glad to confess that in waking life I could not read Ottoman Turkish without an interpreter! Yet I am put in mind of dreams of my own, over decades, in which I discover and am helped to decipher previously unknown or undervalued texts in Ottoman Turkish, Farsi, Egyptian and other languages. And I am reminded that help in such studies sometimes becomes available in interesting ways. I find that when I am giving focused attention to a certain line of study, or a creative project, coincidence comes to support me, sometimes through the agency of that benign spirit Arthur Koestler called the Library Angel, a shelf elf who makes books and documents turn up (or disappear) in highly unlikely ways. This works through the internet too. Two summers ago, in 2010, I was trying to document a story about shared dreaming and war magic from the time of Suleiman the Magnificent. 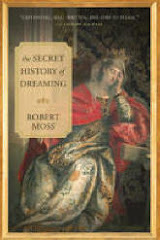 The story involves a “dream master” who supposedly had twelve people enter lucid dreaming together on a huge round bed to provide energy for an astral operation in which he entered the mind of a European prince and altered the fortunes of a battle. I first came upon this intriguing account in The Understanding of Dreams, an old anthology of cross-cultural dream narratives, edited by Raymond de Becker, an elusive and somewhat murky character. He gave his source as an earlier book by one N. de Helva titled La Science impériale des songes, published in Paris in 1935. After much hunting, I was unable to locate a copy of this book anywhere, or even identify the publisher. When I compared the de Becker version with the historical records of the campaigns and household of Suleiman, I became more and more suspicious that someone had constructed a tall tale. But I realized that my investigation would not be complete until I had probed documentary sources available only in Ottoman Turkish. I said out loud, around midnight, "I need a Turk." The next instant, an email arrived in my inbox from a Turkish doctor, wanting to know about a retreat I was leading that fall. She had attended a conference where I had spoken 18 months earlier; we had had no contact since. I now seized the opportunity to ask her whether she could check out the story of the Ottoman “dream master” for me. Within hours, she started sending me documents and original translations from Turkish sources that not only confirmed my suspicions about de Becker’s cavalier use of materials but vastly expanded my understanding of the practice of dreaming and imagination in the Ottoman empire. Even if the story of Suleiman and the dream master was a tall tale, there is no doubt that dreaming was of great interest to the Ottomans, who traced the origin of their dynasty to a dream of Osman, the founder. Now I am going to Istanbul, perhaps I will find myself on the trail of a literary thriller. What if the "Registre des songes à la Cour ottomane", cited by the mysterious and untraceable "N.Helva" as his source, really exists? People ask why some of us seem to have more frequent and more exciting experiences of synchronicity than others. I think there are periods when any of us can become a synchronicity magnet, attracting events and encounters in rich profusion according to the energy and intentions that travel with us. We observe synchronicity at work in the world more often when we are open to seeing it, and ready to play with the signs and symbolic pop-ups of everyday life. But there is more to it than just our willingness to pay attention. Like calls to like, and the call is stronger when our passions or curiosity are most actively engaged in a life passage or a course of study or exploration. Yeats spoke, with poetic clarity, about the “mingling of minds” that can take place when we are giving our best to a certain line of study; he noted that we draw the support of like minds, including intelligences from beyond our ken and beyond our world, who share our interests. Oh yes, the Turkish doctor traveled to the United States that fall for my retreat. 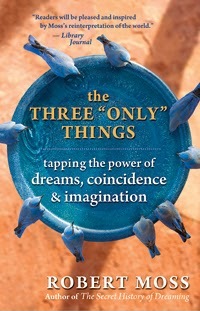 I recount the story of Suleiman and the Dream Master in The Three “Only” Things. Though I now believe the story is not historical, one may say of it, with the Italians, “If it’s not true, it’s well found”. I am going to put a dragon on my walls. I have defined the curve of its body on the fine brocade wallpaper on both sides of the room. Its upper body will rise between a heavy roped-back curtain and the edge of a window at the front of the living room. I know not everyone will agree that the dragon matches the decor, but I am going to have him. Sections of his body will rise from floor to ceiling on both sides; you can't see all of the dragon all at once. I have sent a younger man I trust to a street market to bring me back certain objects and materials. He returns with a different sort of dragon, composed of disks of bone or ivory connected by springs, so you can pull it out like a Slinky. This isn't what I had in mind, but I'm amused by it and the price is right. The dragon I am raising in my living room is Western, rather than Eastern. It is related to the dragon that Vikings set on the prows of their longboats but above all to the dragon that was raised in my body, long ago, in a ritual known to my Scots ancestors. Feelings on waking: Cheerful, energized. Reality: There are some lovely wallpapers in my house, though not with exactly this design, which is similar to a Graham & Brown "majestic gray graphite damask" I found online, but has a soft green in the pattern as well as silvery gray. Yes, I know the dragon. I generally don't talk about this connection much, and have not considered putting it on display. Action: Perhaps it's time for me to write of the dragon. My dream self is sketching a design on the wallpaper with a pencil; then a pattern resembling that wallpaper is described as "graphite", which again suggests pencils, and thus first drafts and sketches. It's happened again. I've set off on a walk around a city I don't know and now I can't remember the name or street address of the place where I am staying. I've left my cell phone in the room, so I can't call even if I had the number in the address book, which seems unlikely. No grid pattern to the streets here. They curve and twist, and it's hard to keep track of all the changing names. I have walked far from the quietly genteel neighborhood where I am staying. In dark alleys and loading areas around the big train station ahead, men huddle, waiting for something, perhaps for work for a day. I'm not all that worried about finding my way back to where I started, because I feel my homing instinct will get me there. I have no mental image of the geography, but feel in my body that I have walked two sides of a huge rectangle, and need only to walk the other two sides. I had better keep moving because not it is snowing. It takes little time to get back to a place I recognize. Across a busy multi-lane road that runs towards green mountains, I see a street of pleasant Victorian houses with a one-way arrow pointing my way. I passed this earlier, en route the the B&B in the next street where I am staying. There's a gap in the traffic. I hurry across, and am soon back at the B&B, inspecting the little sign by the front gate: Deucas Manor. My host has permed hair and the airs and prejudices of the petit bourgeois. She won't hear of me going to community theater when I announce that as my intention for later; I'll go anyway. Why am I here? There's a clue in the things I have arranged on my dresser. They include tiny black-and-white photographs of myself as a baby and a young child, and others of family members. I seem to be on a quest for my origins. No strong feelings around this dream. It was the last of a series in which I was country-hopping overnight. In a previous dream, I was staying in a borrowed apartment in a city in Eastern Europe. The word "Deucas" has no immediate resonance with me, though word-play brings up a range of possible associations. I don't expect to stay at a B&B called Deucas Manor, but I never say never about future travel options, especially when my dream self has gone to certain places ahead of me. The theme of not being able to remember where I'm staying has been quite common in my sleep dreams, over the years, and that is rich in associations. I have photos like the ones in my dream in a little leather file on my desk; I have been on a quest to remember and write about certain episodes from very early in this life. The photos in the dream are different; I am all but certain I have not seen them outside the dream. I find a metaphor for life in what I might otherwise tag as a rather "small" dream. I am a visitor in the guest house of this world, needing to keep track of where I started in each life adventure. All these people are gathered. They are like actors who have taken their places on stage and are waiting quietly for the curtain to go up. It comes to me that they are "attending", an interesting word. I have the feeling they are characters who could have parts in a new book. Yet they have their own lives. None of them seems to be aware of me. But now a young woman slips through their ranks, to look at me directly. She is red haired, tall and slim, quite lovely. Her clothes are of an earlier time. Her gaze is deep. I cannot read her feelings, but I would like to know her. She moves away to my left, and I sense that she wants me to follow. When I go after her, however, I am interrupted by a mature woman with long black hair and very white skin who thrusts herself between us. I know she is filed with jealous hate for the redhead. There is an old story here, of passion and jealousy. I sense it goes back several centuries, to the British Isles. I won't follow it now. The sunlight streaming into my bedroom round the edge of the drapes is quite bright. I reach for my French blue sleep mask (thank you Air France) and stretch out on my back, enjoying the luxury of drifting back from my twilight zone adventures into the sleep that repairs the body and allows the dream soul to go wandering without an agenda. Often, I find different casts of characters waiting or popping up as I hover on the edge of sleep or linger in the twilight zone of hypnagogia. Sometimes, they appear to be quite literally on stage, or in the wings, waiting for me to show up in order to start or resume a play. More often, they seem to be characters in life dramas that are being played out in other times or in parallel worlds, dramas in which I have a lead role from which I may have been absent while attending to things in my default reality in what is currently the first day of September, 2012. When I am writing, I am occasionally thrilled to discover in this way that my characters - who may or may not have been previously known to me - are assembling in this way, ready to claim their parts in my stories, or at least audition for those parts. Those attending. I like this description for the people who appear on the cusp between waking and sleep, or between sleep and waking. To attend can mean to take care of or wait upon someone; in its Latin origin, in the verb attendere, it means "to stretch toward" something. Encounters with those who attend in the twilight zone can certainly help to stretch the mind.